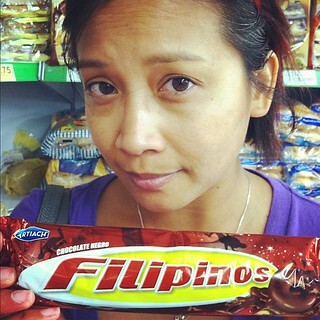 I spotted this chocolate bar inside a Barcelona grocery store. We laughed, snapped a photo and moved on. I left the candy behind. It was also part of the worst pick-up line I’ve ever heard. During my Berkeley years, I checked out a KALX buddy working a DJ set at a bar in Oakland. I went with Linda, another radio buddy who managed the Women’s Affairs department. She also preferred women. We ordered some beers, listened to the dance beats. We cheered on our KALX comrade. I remember she was helping me cope with guy issues. A stranger sat next to us. Oh yah, did I mention that Linda is BEAUTIFUL? Seriously, guys can’t help hitting on her. Linda tried to brush him off. Breaking news is my favorite adrenaline rush in the newsroom. Another rush: using chopper and ground crews to cover huge Bay Area events – from Tour of California to a Space Shuttle flyover. 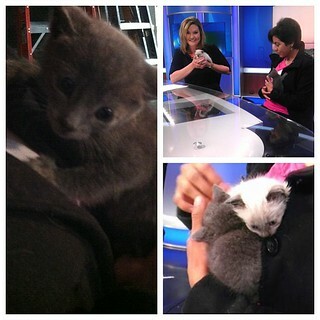 One of our favorite studio segments involves cute animals looking for homes. Our quick adopt-a-pet segments have helped furry friends find new families. On another note – this cat video is hilarious! The tortured musings of spoiled pets, on YouTube. Video game music rocks my world. I liked playing the theme to Super Mario Bros. on my college radio shows. Now, I stumbled on this genius rendition thanks to the viral video blog on CBS News. This video put a smile on my face in the newsroom. Comments Off on Say La! I am so excited about a new Anchorman sequel. I’m totally planning on seeing this in the theaters. Another film that I won’t wait for cable/Netflix – the new Men in Black movie. Thanks to my newsroom colleague for posting this awesome Will Smith video on Facebook! The Fresh Prince of Bel Air takes over London. Comments Off on Smell Ya Later! I wonder if Jeff Daniels is channeling Howard Beale in his anchor role. I’m setting up my DVR to record the pilot. It could be awesome. 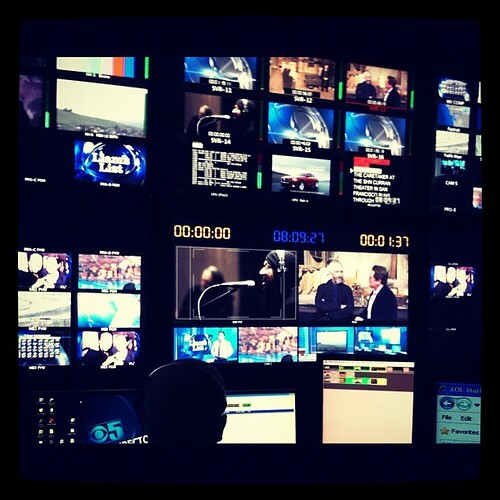 I also find myself yelling at the screen with these pseudo-newsroom shows. Ask my hubby. I tore apart “Morning Glory.” I got snarky over impossible live shots, human camera work and the newsroom meeting before the morning news show. I almost stopped watching “The Ugly Truth” when I saw the Sacramento morning news producer drive to work after sunrise. WTF. Also – Thanks to Medill’s tweet, I spotted one of the lectures halls used by my classes in Evanston. Ah…memories! Comments Off on Mad as Hell? Sometimes I manage to take a break from all the writing and scrambling for video, elements and common sense in the middle of the morning news show. During my break, I leave the newsroom and field produce live interviews for the show. Last month, I met Lt. Governor Gavin Newsom at Caffe Roma in North Beach. 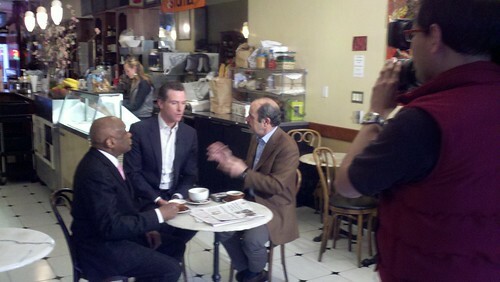 He chatted with my morning anchor, Phil Matier, and former Mayor Willie Brown about a controversial mountain lion hunt. I’m super-excited about the new Muppets movie! So, I was quite tickled to watch this opening song by Jason Segel and the Muppets. It put a smile on my face before I had to drive to work. Did you know that the Muppets have been part of SNL since 1975? Wow! Facebook peeps, you can watch the music video and movie trailer on my blog. I hit the “unavailable” button on the Evite page. My reason: I’ll be sleeping at that time because I need to be back in the newsroom by midnight. I live in a separate time stream from my friends, family and co-workers. Most people think Friday night is the perfect night to hang out, discover new food spots and catch-up. It’s just another work day for me. After working in Topeka, Sacramento and Newark, I’m happy to be producing morning shows in one of the biggest television markets in the country. It’s still a lonely life. My puppy sleeps on the couch at home, my hubby bar hops with our friends and I’m plugging away in my empty newsroom. I’m always tempted to bring Daisy into work but I know she won’t stop barking at the squawking police scanners. I suppose that’s why I do geocaching. My hubby and I chatted about diving into the game about ten years ago. 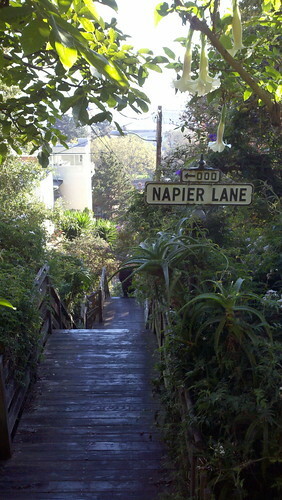 Last month, I started searching for hidden caches around the Bay Area after I downloaded the app to my Droid. God bless our smartphones. 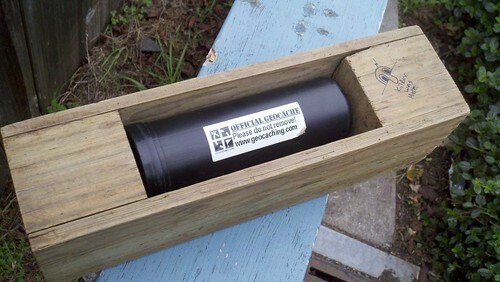 There are caches hidden all over the world. 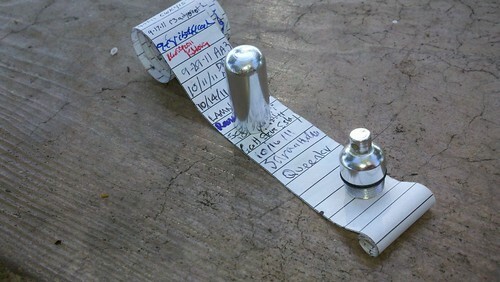 Geocachers can play along at any time. So, I may miss happy hour with my co-workers or dinner with my husband, but I have this game that fits easily into my schedule. I’ve found caches on my lunch break and on my way home from work. I can also go geocaching on my weekend runs. Now I’m part of a quiet world of geocache players. 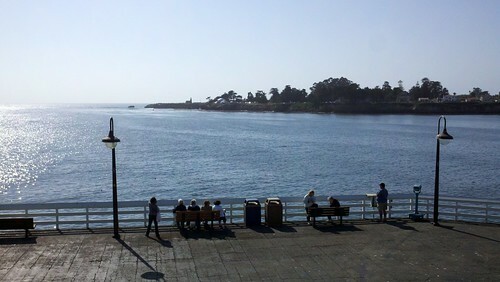 From San Francisco to Santa Cruz, the cache coordinates have led me to some amazing views. The game has introduced me to locations that I wouldn’t have found in guide books. While the rest of the world scurries off to work or school, I searching for my next cache. I think I have the case of the travel bug. 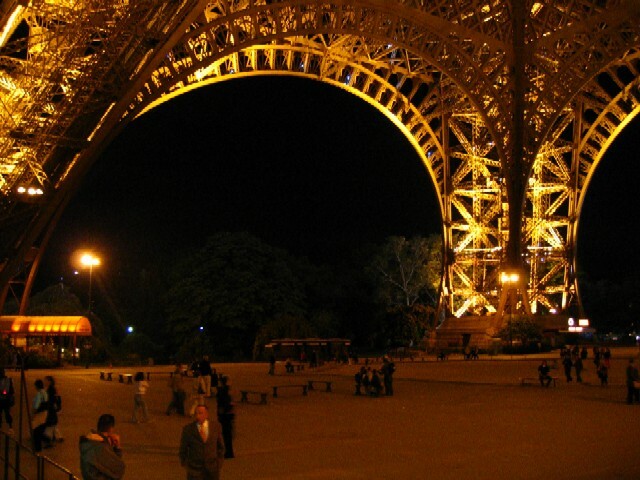 Lately, I’ve been taking virtual trips to Paris. I live vicariously through Adam Gopnik’s Paris to the Moon and Julia Child’s My Life in France. I also watched Woody Allen’s Midnight in Paris. It’s a sweet story about one of my favorite cities in the world. As Owen Wilson floated between modern-day Paris and its 1920s past, my heart tripped to see all the places I visited during my Eurotrip. Wine Tweetups were ideal for people who like vino and who can’t put their smartphones down. 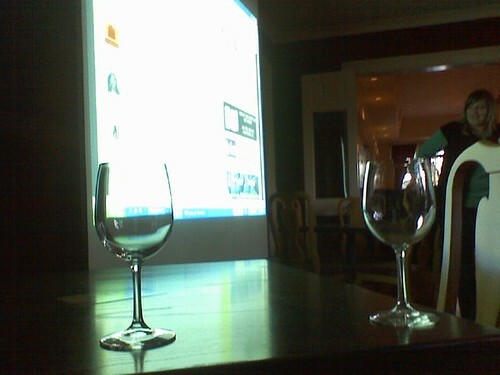 I had a blast at this Sonoma Tweetup in 2009. I enjoyed watching the trailer for Connected. I thought the filmmaker raised compelling questions about being online, plugged into social networks and connected with the world. “Connected” opens in San Francisco this week. Also – fess’ up: Do you check your email, text messages and tweets in the bathroom? Comments Off on Can you unplug?